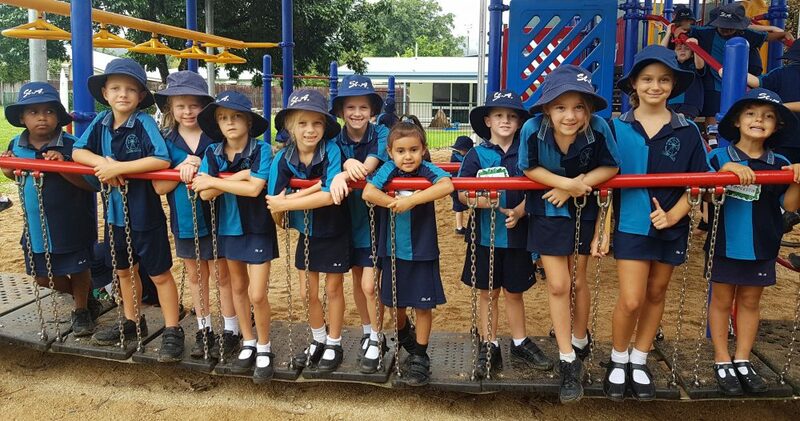 Week 3 has seen our community celebrate being part of Queensland Catholic Education through two whole school events. In the Gospel of Matthew, Jesus says ‘Where two or three gather in my name, there am I’. Thus, Tuesday saw a wonderful gathering of different generations in our school for Grandparents and Special Visitors Day. A very sincere thank you goes out to all our grandparents and visitors who were able to come and share their experiences of their schooling days. I would like to commend our students for the respect they displayed towards their family members and guests, through the questions they asked, and the rapt attention they gave. Wednesday’s Catholic Education Week Mass was a profound expression of part of our school motto: ‘Together in Faith’. We thank; Fr. Neil Muir Vicar of Education, Mr. Bill Dixon Director of Catholic Education Services and associated staff, and the school leaders and students of St. Stephen’s College and St. Thomas’s Mareeba, St. Teresa’s Ravenshoe, and St. Joseph’s Atherton for joining us. We concluded mass with a cutting of a cake and refreshments in our junior undercover area. A very sincere thank you to all our wonderful staff, parents and students who attended mass and through their help and participation, represented what we are about a community! In readiness for the release of student reports in Term 4, caregivers are encouraged to take this opportunity to have open and positive conversations with their child’s classroom teachers about current learning development, areas for improvement, and goals moving forwards. On Monday emails will be sent out detailing the procedure to make an appointment with the class teacher/s. Our school is going with a new company~ NQ School Photography~ for 2018 photos. Individual order forms were sent home with every student on Thursday afternoon. If caregivers would like a sibling photo, the family order forms can be collected in the school office. May Jesus walk with you during Catholic Education Week!